Twelve years is a long time to wait for a video game, but it was well worth it for Blizzard’s Diablo 3. This latest “Action RPG” has shattered records in the gaming world of sales, with over 4.7 million copies sold by the end of day one. 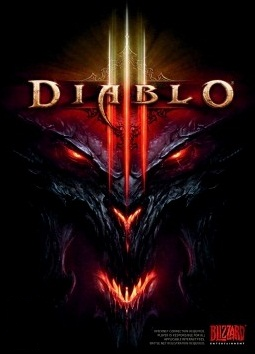 By the end of the first week, more than 6.3 million copies were sold, setting Diablo 3 as the biggest launch in PC gaming history. Despite the massive technical problems that have plagued Diablo 3 since its release (yes, I was there with you at 3 a.m. ET not being able to log in and enjoy the demon cleansing of Tristram and Sanctuary) players are giving the game great reviews and even the unhappy players are playing it somewhat religiously. There are five classes to choose from in Diablo 3, each being familiar to a class in Diablo 2. The classic Barbarian is back for more hacking and slashing, jumping, screaming, throwing and smashing of the minions of hell, while other 4 are reworked and/or mixed with other classes. The Monk is a mixture of a Martial Arts Assassin and a Paladin, relying on auras for support, and using your awesome knowledge of the human anatomy to hit all the power-points of your foes to make them blow up from the inside. Then just drop a giant bell on your enemies or punch so fast you make lightning. The Wizard is a mix of the Sorceress and Elemental Druid which can be summed up as “Oh what’s that? You’re coming at me with 30 of your friends? Good luck getting through walls of ice dodging hundreds of meteors.” The Witch Doctor is a full-on remake of the Necromancer with some tweaks that remind you of the Summon Druid (summoning not just zombies, but zombie dogs!) with tons of summons to choose from: poison frogs, flaming bats and “Big Bad Voodoo” to curse your enemies. And lastly the Demon Hunter is a mix of the Trap and Discipline Assassin with the Amazon, where not only do you set up all kinds of obstacles (mines, spikes, turrets, suspended blades of death, etc.) but you fly through dungeons with back flips and dual-wielding crossbows decapitating and exploding everything the eye can see. With these 5 classes you constantly wreck your way through endless hordes of demons and fiends, progressing through the story to kill off all the big bad dudes in charge of hell (in Diablo 3 they revealed a total of 7). Playing Diablo 3 the first time through feels pretty easy, and you’re curious as to why you’re not dying and everything is super easy. DO NOT BE FOOLED! This is normal mode aka story mode where you simply are learning your class, enjoying the story and learning the boss fights and zones. The real game begins once you finish the story and unlock Nightmare mode, where everything becomes harder. Bosses, champions and named mobs get extra abilities, normal minions are tougher, and items become more expensive. Once you get through nightmare, you go even deeper into the game unlocking Hell mode, adding another ability to everything and tripling the health pool of all mobs. Then finally, there is Inferno. Inferno mode is the TOUGHEST difficulty the blizzard developers could barely say they completed, doubled. That’s right, they came out with a game mode that they themselves could not beat. Talk about raising the bar. So pick up your axe, crossbow, voodoo doll or scepter and meet me in Sanctuary for the satisfying job of cleansing the world of Hell’s Minions. Danny has spent years working on computers and tinkering with gadgets. He is always adding to his knowledge of technology and is working on a electrical engineering degree. Playing video games has always been one of his favorite hobbies (probably only second to playing guitar). When he gets into a game, he does what he can to become the best at it. He is more than willing to give his opinion on any game, and if you're lucky might even throw in some tips to help you top the charts! Contact the author. Hi Hacknslasher, I would not personally recommend someone to buy a guide for a game like D3, because its constantly being updated, patched, and changed, so naturally the guide’s usefulness will become dated, and your money spent wont be worth it in the long run. what i DO recommend is is paying visits to the forums whenever you have a question, because if other gamers out there who are total think tanks cant answer your questions, im positive the forum administrators can either answer your questions, or direct you to someone who can. here is the link and happy hunting! Hi, i was looking for a good diablo III guide and found this one: thegamesonline.org/diablo3-guide. I’ve decided to buy it and i’d like to hear your opinions about this guide.